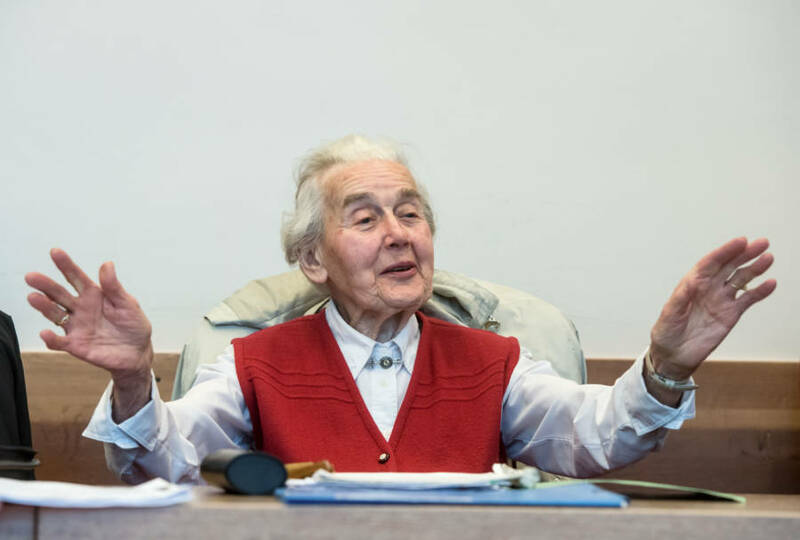 Ursula Haverbeck in the court room of the District Court in Detmold, Germany, Nov. 23, 2017. Werner Haverbeck used several organizations to try to keep the spirit of the Nazi Party alive once the war ended. Together, he and Ursula founded the Collegium Humanum in 1963. The Collegium Humanum was meant to disseminate neo-Nazi extremistviews and to downplay the role of the Holocaust in Nazi Germany. 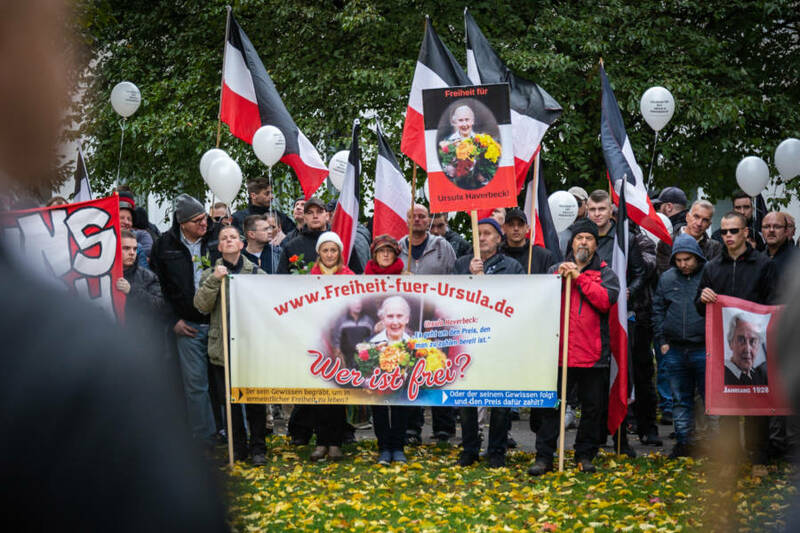 About 500 Neo-Nazis demonstrated in Bielefeld, Germany, Nov. 10, 2018 in solidarity with Ursula Haverbeck.